Here’s how it works. 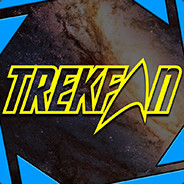 After you join TrekFan, simply send an E-mail to incoming@trekfan.org, letting us know that you’d like to be part of the Starfleet Academy program. Your name will go into a random generator — If your name gets picked, we send you a random Star Trek novel. You read it and tell us what you thought about it. Then you’re re-entered into the random draw. We have thousands of them, and we want to get them in your hands for free. We’re not a library. Do not send the books back. Keep them if you like, or pass them to a friend. If you could tell them about TrekFan when you give it to them, that would be great. All we need from you is a review of the book, which we’ll anthologize and add to our records — So that others may make informed decisions about which Star Trek book they’d like to read next. As this entire system is free, please be patient. We only draw a limited number of names every month, and while we typically send books out once a week, we try to use the cheapest possible mailing method to get them to you. Also, we’re not a bookseller — You may get something that isn’t part one of a given series. Embrace the chaos.